The new PAM Self-Assessment Questions (SAQs) are much more qualitative in nature and their completion requires broad experience across the spectrum of estates and facilities services – and beyond. For many Trusts, it may prove that this exercise looking at existing systems, documents, practices policies, perhaps developed in isolation, highlights that they no longer represent best practice or support a holistic model for the delivery of estates and facilities services aligned with the needs of patients, the Trust and other stakeholders. Following requests from a number of our clients, GK Transformation are now pleased to offer a tailored service that can ensure that your PAM return is complete and accurate. Additionally, we can work with you to identify and address any areas for improvement before the return is finalised. GK Transformation are now pleased to offer a THREE-TIER service that can ensure your PAM return is complete and accurate. This defines the what, typically in terms of a number of requirements or objectives specified within one or more strategy or policy documents. This defines the how, usually in the form of procedure documents, containing sequences of activities and actions. This provides the who, when and where activity information; the evidence of how well the policies and procedures are functioning in practice. From the above, gap analysis will be used to identify those specific areas where the Organisation is under performing and a risk-assessed action plan, with indicative costs and timescales to close the gaps. This, essentially, is the scoring and costing stage of PAM SQA return. This would include identifying strategy, policy and procedure documents which require updating – in part or in full – to cover the scope of the PAM requirements or adopt current best practice (against statutory requirements where necessary). If not already available, some service benchmarking would be undertaken during this phase to prioritise operational improvements. For example, this would include reviewing an outsourced catering service specification against nutritional guidance, recommended menu choices and sustainable service delivery. Or, as an estates example, examining water safety policies to confirm compliance with HTM 04-01 that the monitoring and testing regime is appropriate to measure compliance and, finally, that maintenance records and testing results demonstrate compliance. If any gaps are identified, in the above activities, timely actions and cost estimates to achieve compliance will be produced. Effectively, for the fist time perhaps, an overall cost to deliver an efficient, best practice, organisationally aligned estates & facilities service will be defined. The final stage will be to implement some or all of the above action plans. Our experienced consultants can assist with developing any identified requirements new service strategies, policy and procedure documents, on-site consultancy support to help implement and imbed the changes – which may be more cultural than operational. 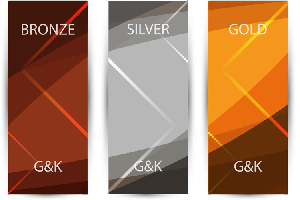 GK Transformation can also assist where the changes require temporary skills outside the core expertise of the service – such as training, performance measurement, monitoring & comparison and third-party and/or external review services.